UC Browser is a great web browser for faster browsing experience. Many effective features make this browser most user suitable and lead to the top. 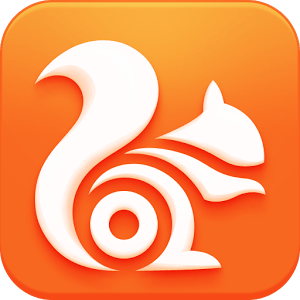 Over 300 Million users’ first choice is UC Browser. So why you are late? 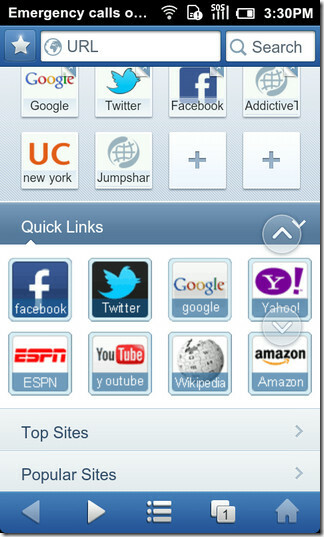 Choose UC Smart Web Browser for your smartphone and achieve a great experience. However, let’s see which features UC browser lead at the top. First of all I have to talk about its user suitable interface. This browser is so easy to use. 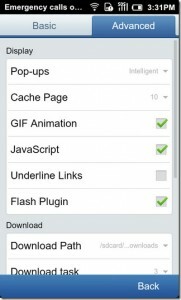 FB Faster Add-on gives you a great experience of Facebook browsing with maximum speed. Else you can compare it with other mobile browsers and get the result that UC Browser is the best. Another exclusive feature is smart downloading. 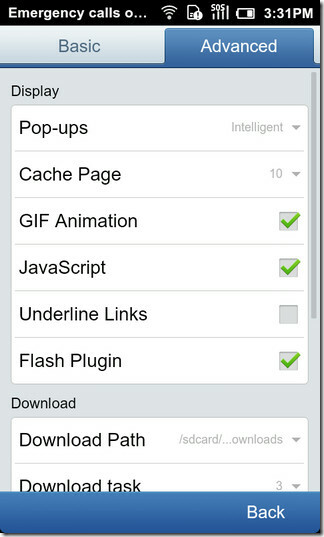 You can easily download any files with faster speed by UC Browser’s smart downloader. Else UC browser has so many add-ons with good reputation. These will help you with many tasks. Incognito browsing is a great feature. You can browse privately to protect the privacy by Incognito browsing. Else you will be able to change the theme of browser. Night Mood is another good feature. When users are in the dark, then you should use this feature to protect your eyes. When you reach the end of the current page, auto page will load next page automatically. It gives you an awesome reading experience. You can sync the bookmarks and tabs between multiple devices by Cloud sync feature. UC mobile browser is available in all popular platform. So don’t worry. Its availability is not a problem. Else it has 4.7 average rating out of 5. It proves it has established a good position in all platforms. You can easily get it from your app store of Android, iOS and Windows Store. We would like to talk about mobile apps in combination with business, and why you should consider building a mobile app for your own company. If you think that mobile apps are solely for big name brands, you are wrong. More and more small and midsize businesses are following the mobile trend, understanding that an effective mobile strategy involves more than just a mobile-friendly website. In fact, these days you’ll notice that many small businesses you interact with in your everyday life have their own dedicated mobile app. These companies are ahead of the game when it comes to taking their marketing to the next level. Statistics show that the average people spends more than two hours a day on his or her mobile device. While probably only a handful of applications make up the bulk of this total usage, it doesn’t change the fact that each user has to unlock, scroll, and scan their device for the apps they’re looking for. Apps serve many functions: they can provide general info, prices, booking forms, search features, user accounts, messengers, news feeds, and so on. One of the biggest benefits of mobile app is that all the information you’d like to provide to your customers – including special sales and promotions. Through push notifications you’re getting even closer to a direct interaction, and can easily remind customers about your products and services whenever it makes sense. Instead of sticking to the old point-collection card, make it possible for your customers to collect their rewards via your mobile app. The result? More downloads and more return customers. Recognition. The more often you can get customers involved with your app, the sooner they will be inclined to buy your product and/or service. No matter whether you are selling flowers or spa services, your customers need a way to reach you. Having a messaging feature within your app can really make a difference in the way you communicate with your customers. Think about it: built its entire business model around this principle. Instead of calling a restaurant for a table, you can book it with less than five clicks on their platform. Now think about it: How many customers would prefer to communicate with you via text than via phone? The most important reason why you should consider building your own mobile app is customer loyalty. With all the noise out, there we slowly lose our impact on customers because of the immense amount of advertising surrounding us all. It’s time to go back to making a true and sincere connection with your customers, and making them a loyal lover of your product and/or service. I am not saying a mobile app is going to save your business, but it can be a way of staying closer to your customers, and being just a “fingertip” away at all times. Is the web dying, killed off by mobile apps? As more and more apps become multibillion-dollar businesses. it’s tempting to see them as replacing the web, or taking over from it. This helps explain the periodic outbreak of articles about how “the web is dying”. But the truth is that, as is often the case when someone says a certain kind of behavior is dying, it’s a lot more complicated than such headlines suggest. There were a number of problems with the Wired story, however — including the fact that the chart it used contrasted the growth of video traffic with the decline of “web” traffic, even though most of that video traffic was coming from websites and web-based services. But the phenomenon it was describing was definitely a real thing, and in fact has only accelerated with the growth of apps which don’t even have traditional websites. The Mims piece makes a common mistake by implying that the size of the web pie is finite — in other words, that mobile apps are stealing market share or user attention from the open web or the traditional browser, and therefore the web is dying. But the size of the web pie is arguably still growing rapidly, which suggests that apps are stealing attention from other things, including various kinds of offline activity. Also, a number of people have pointed out that a huge proportion of the time spent with mobile apps is devoted either to games or to various forms of instant messaging. Since neither of those things has ever relied that much on the web , they aren’t really a conclusive sign that the web is being killed off by apps. The more interesting juxtaposition raised by Flurry’s numbers is not apps versus web, but games and social versus everything else. YouTube and other entertainment apps form a solid percentage of what is left (8%), but the remainder is a mishmash of utilities, productivity, the aforementioned news, and, of course the web. But one of the biggest flaws with the “web is dying” argument is that it assumes that apps themselves don’t drive more traffic to the open web — which they clearly do. Social-networking apps which consume a huge proportion of the mobile app time of many users, are at least in part about sharing links to content, and while many of these apps open links in their own in-app browsers, that still counts as web traffic. “GPS Thermometer” is popular among the smartphone users. GPS Thermometer is such an app which gives you accurate information of temperature through GPS. Internet Connectivity is required to use. GPS Thermometer works on location and give the user the temperature information. 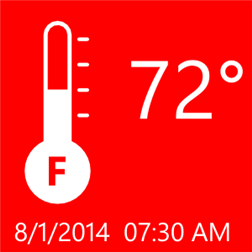 Through this app user can easily know the room & outside temperature. It uses many data sources and combines them to give you the accurate temperature information. 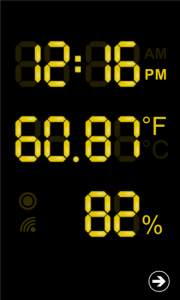 On home screen of this app the user will see an analogue display of a thermometer with the exact temperature information. You will see an next symbol. Tap on that. 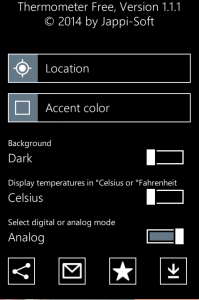 You will see a screen with some features such as location, Celsius to Fahrenheit, digital or analogue mode etc. 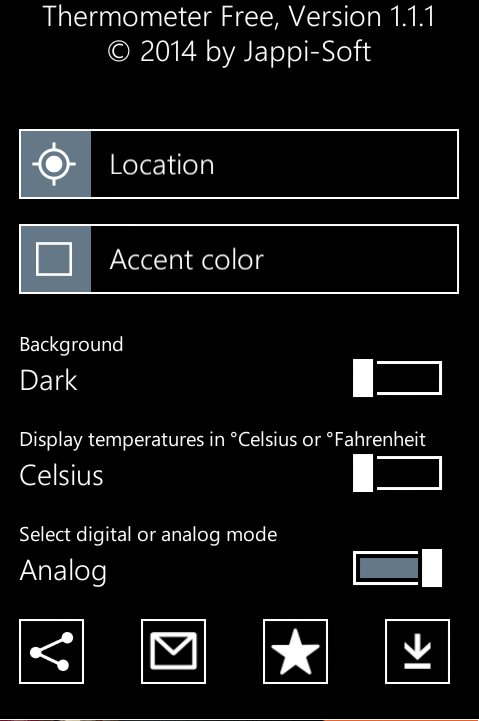 You can easily change the temperature unite Celsius to Fahrenheit or Fahrenheit to Celsius, also can change the display mode. In digital display mode you will see time, temperature and humidity information. Tap on the location button to know the accurate location. After all GPS Thermometer is very highly useful & effective Temperature thermometer app. You can find this app on App stores & Play Store. Warren Buffett has a simple solution that could help people turn $40 into $10 million. Warren Buffett spoke about one of favorite companies, Coca-Cola, and how to be patient reinvestment, someone who bought just $40 worth of the company’s stock when it went public in 1919 would now have more than $5 million. I know that $40 in 1919 is very different from $40 today. However, even after factoring for inflation, it turns out to be $540 in today’s money. Put differently, would you rather have an Xbox One, or almost $11 million? But the thing is, it isn’t even as though an investment in Coca-Cola was a no-brainer at that point, or in the near century since then. And there have been countless other things over the past 100 years that would cause someone to question whether their money should be in stocks, much less one of a consumer-goods company like Coca-Cola. So often investors are told they must attempt to time the market, and begin investing when the market is on the rise, and sell when the market is falling. This type of technical analysis of watching stock movements and buying based on how the prices fluctuate over 200-day moving averages or other seemingly arbitrary fluctuations often receives a lot of media attention, but it has been proved to simply be no better than random chance. Individuals need to see that investing is not like placing a wager on the 49ers to cover the spread against the Cowboys, but instead it’s buying a tangible piece of a business. It is absolutely important to understand the relative price you are paying for that business, but what isn’t important is attempting to understand whether you’re buying in at the “right time,” as that is so often just an arbitrary imagination. Fortunes, like Buffett’s, were made by early investors when internet technology changed our lives forever. Now there’s a new technological revolution that threatens to make intellectual property obsolete — and shake up the entire global economy. Investors once again have the opportunity to get rich by getting in early, and you can be one of them. This is a great app of HK Immigration Department. By this app the user can get all the services of HK Immigration Department very easily. 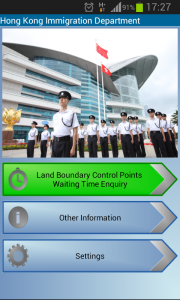 This app included some features for the user can be know more situation of port entry and arrival lobby. 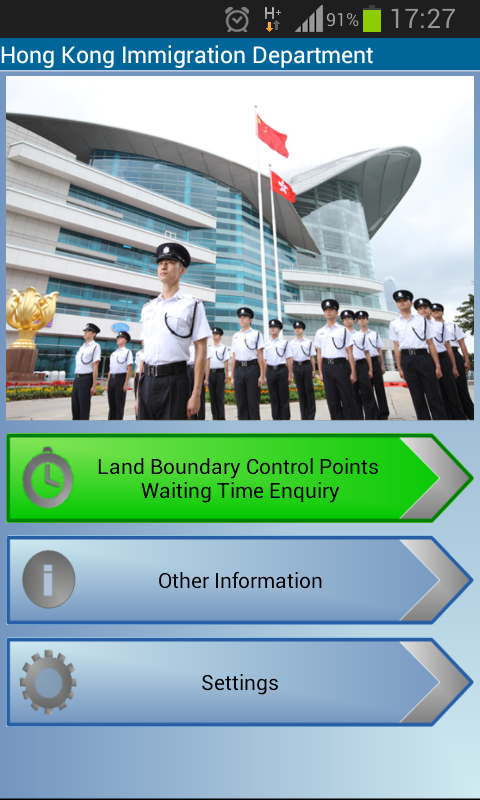 When the user launch this app, people will find three options Land Boundary Control Points, Waiting Time, Enquiry, Other Information and Settings. You will get many option such as Immigration Department Home Page, What’s new, e-services, Office addresses, Visa information and Hotline 1868 by tapping on Other Information, also can call on hotline (1868) any time to collect any information. You will know all updates by clicking on what’s new option. What you need you will get in this app. Just click on any option and get your desired information. 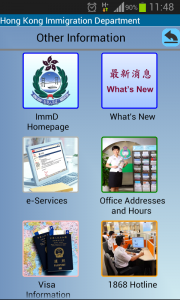 You can also go to the home page (http://www.immd.gov.hk/en/home.html) of HK Immigration Department by tapping on ImmD Home Page. So after all it’s a very useful app for citizens and traveler from Hong Kong Immigration Department. This App is available for Android and iSO. So you can download it no matter of which smart phone you use.